No, seriously. Get your hands off my sequel. I need to hug it again, and thank it for making me and about 200 others in the screening feel great, if just for an hour and a half or so. 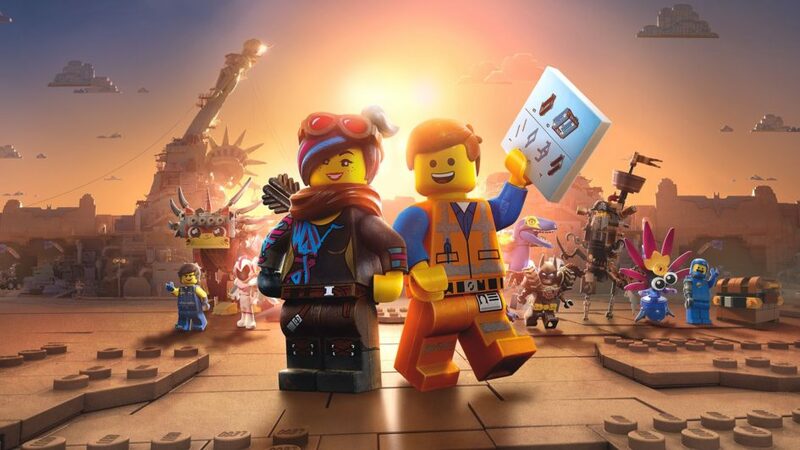 The Lego Movie 2: The Second Part is a zany but poignant romp of creative and topical story, wrapped up in what has become its own subgenre of animated film. The film takes a focus on a basic childhood concept while peppering in modern social notions without much force required, all the while advancing beloved characters and playing it all on a stage that doesn’t even have a fourth wall to begin with, given the fluidity with which they transcend it. If it matters to you that the overall moral of the story not be spoiled, don’t read this, but I won’t dive deep. We’ll stay pretty spoiler-free here. Rest assured, though, that if you think you know where the creators of this sequel are going, you probably have not guessed it on the nose just yet — and that’s a strength of the Lord and Miller screenplay. Despite some timing issues for humor lines, they nailed it pretty well on this Lego iteration, as they step out of the producer shroud and more forward into writing. Favorite characters return to the joy of fans, including Unikitty and many of the licensed characters we’re familiar with. Plenty of them have their own moments to shine, usually with a well-formed sense of humor involved. There are a number of cameos, as well, such as the Bruce Willis appearance (as a figure) we’ve seen on TV ads. Oh, and yes, they bring us Batman in all his Lego-Universe glory. Among the new plastic faces is Rex Dangervest, who becomes a fascinating introspective-concept character for the story and the voice actor he shares with Emmet (Chris Pratt). The human cast is a little more present in this story, too, and the film is better for it, as the kids carry the primary theme of the story all the way home. It would not be a Lego movie if there were not, easily, thousands of pieces and parts in any given scene. The seamlessness with which this continues to be accomplished is awe-inspiring. This film bodes well for 3-D viewers. You will be hard-pressed to find a scene with any implausible construction. The floating Lego part numbers are back, too, in a very handy and amusing nod to the inevitable questions of “wait, what piece is that? ?” The movie is an ongoing visual treat, and the finesse with which the artists behind it are now executing this is commendable. Through the story, we are taken on an exploration of gender topics that’s very low-key, yet very clear. There are gags about male stereotypes. Female stereotypes. Various tropes of boy and girl toys. There seems to even be some self-deprecating humor from Lego about the newer styles of figures used for their more “girl” sets. Another theme in the mix is the concept of mending differences — something our culture is desperate to decode in the real world. In Lego Movie 2, it is not really a politicized concept, but one of family, and of the “races” of toys in the tale. There is also a low-key nod to concepts of marginalization, and a certain amount of sympathy for characters who’ve displayed some of the “negative” traits involved. On face value, the tale is one of a romp through the Lego fantasy world, consumable without a deeper thought. On the other hand, there are some rather important and deep concepts for those looking. The biggest and most touching theme of the film is about siblings. Being an older brother of a sister who is 10 years my junior, this hit me right in the heart-strings. The film’s core concept, it turns out, is more about growing up, the tendency to grow apart, and the presence of loyalty and love between two siblings who compete as you’d expect, and have to work out how to play together. Most viewers will be touched by these moments, and some, like me, will be downright moved. This is possibly the biggest part of the movie that’s more meaningful for adults, as the nostalgia of a time when your biggest issue is that little pest, or that big mean brother ignoring you, seem so distant and so much simpler compared to the challenges of being a grownup. In this way, the film has a potential to touch people more deeply than the first installment. Overall, this sequel is one of the rare ones that’s as good as — if not better — than part one. It is a surefire hit, and deserving of the continued love and enduring success the franchise is seeing. This one is an easy 5/5 on the star scale, and should be given your hard-earned dollars in box-office support for sure. Lego Movie 2 is why we still have the opportunity to take our families to the movies, and it makes that trip worth it, in spades.